If you love your job, then don’t tell your boss any of these 30 things highlighted in this post. Showing respect to your boss at work is always important because it promotes a healthy working relationship between you and your boss. However, if you want your career to stagnate or if you are eager to get fired from your job, then, tell your boss any of these 30 things. In the workplace, you don’t have to like your boss but it’s important that you respect him. To show respect, do not tell your boss any of these 30 things shown below. There are several reasons why you should respect your boss. The first is that he holds more power than you. Secondly, your boss is in a position to influence your progression at work. Not only can your boss ensure your stagnation at work, he’s also in a position to make drastic changes to your working life. It is your boss who will be responsible to provide you with a reference for your next job, so showing respect to him is essential in making your working life easier. Above all, your boss’s opinion of you affects everything from pay increase to the kind of work you’re allocated. Part of showing respect to your boss is knowing what not to say to your boss. Inadvertently or during a heated conversation, it’s easy to say things to the boss that you know you will have second thoughts about on that long walk back to your desk. Below is the list of 30 things to tell your boss if you want to get sacked from your job. 1. I need a raise or else I’m gone! 2. I am not a mind reader, why do you expect me to know what to do? 3. It’s not my job, give it to someone else. 6. I find you very good-looking, can we go on a date? 7. You are stunning, when you are not managing me, what do you do in your spare time? 9. I can’t stand you! As a matter of fact, I hate you. 10. You are grossly incompetent at your job. 11. It can’t be done, just let it go. 12. I have been here for years, I need a bigger title. 13. Why are you this slow to react to things? 14. Yes, it’s a communication problem on my part but as my boss, it’s also your fault as you should have warned me. 15. I booked my holiday ages ago. I can’t change the dates for any organization or anyone. 16. Don’t you get it? 17. It’s not my business so why should I care? 18. Overtime? You must be kidding. I can’t use my time for free for the company. 19. I know it’s important with a tight deadline but I just don’t have the time to do the job. 20. I can’t change the situation, I am not a magician! 21. It’s not my problem. You are the boss, get it fixed!. 22. I am happy to do this for many years, so I don’t need any training to learn new things for now. 23. There is no reason for me to know……., I only know my team mates. 24. I have no clue, go and ask someone else. 25. I am having a bad day so please leave me alone. 26. Gosh, you know I hate technology. Why am I considered suitable for this project? You better reconsider. 27. We’ve done it like this for years, why change now? 28. You were awful this morning when you gave that presentation. 29. Please don’t hassle me, I am just here so that I can pay my bills. 30. Doing that work for you monthly takes up too much time. Find someone else to do it. Most of the comments above may be said out of habit rather than thinking of your bosses’ interpretation. Agreed, it is natural to feel overwhelmed and feel the need to express yourself or defend your actions, you should ensure that your mouth is not faster than your brain and that you are not reacting emotionally. The trick is to think, slow down and think again before you speak to your boss. 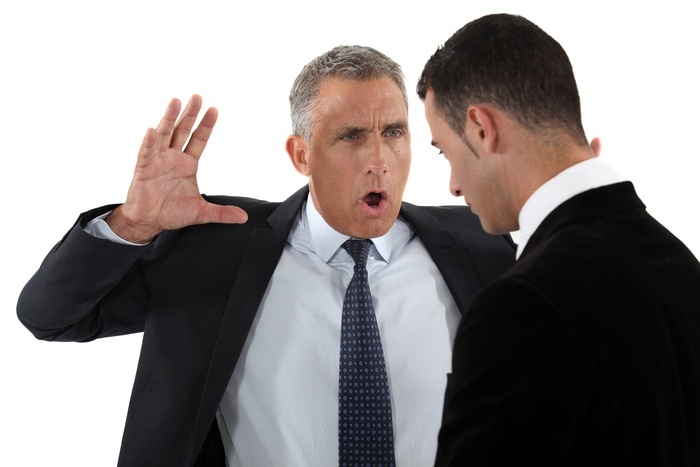 Now that you know not to tell your boss any of these 30 things, what can you add to the list? Let’s hear from you, add your comments below. Good post. I’d like to add one more thing. My staff once worked up to me and said, ‘Damn, I’d like to tap that *ss! You look good boss.’ Frankly, I was too shocked to say anything. Needless to say that he’s no more working with our organization. Saying that to your boss is simply disrespectful. Hi Suzie, thanks for your comment. Well, I agree, that’s a ‘no-no’ thing to say to one’s boss. Ha ha ha, I am laughing out loud at some of these. Most of these are hilarious. Who the hell would dream of saying most of this? There is one I disagree with. If you as an employee have dedicated vacation time, decide to use it, pay for plane tickets, hotels, etc. In advance, then your boss and company should honor your vacation time. It would be ridiculous for your company to break its agreement with you by asking you to cancel or change your vacation and move your hotel and travel days around thus costing you more money. My boss told me I needes to work faster and hurry up. I took offence to that and told him I cabt respect someone who makes me feel low and doesnt respect me. Any thoughts? Was I wrong? How does one handle this situation.